Mitchell Homan ’18 — This morning I walked through the doors of Kingsbury High School passing the pull out metal detectors and turned to walk down the empty hall students would fill in 15 minutes, to my classroom. I arrive and begin helping my host teacher Mr. Gong with the Kingsbury Garden. The 15 minutes pass quickly and we stand in the hall watching students as they pass through the metal detector and are wanded by a security guard. As the homeroom students shuffle into the class they sit down quietly and begin ignoring the announcements. As testing has continued for over THREE weeks, students had become familiar with the long list of make-ups test takers. This list included about half or more of the classroom leaving 7 students left in the classroom. While testing was taking place students were not allowed in the halls leaving the morning to homeroom classes. These classes were not the subjects that the teachers taught. This being so, no formal lesson was given this morning. So, the students were left to their own methods of distraction until lunch. This showed me how flexible teachers must be in order to follow the rules of standardized testing set by the state. It also showed me how far behind standardized testing has put students in terms of achieving their education (1 week and 3 days so far in Kingsbury). I hoping that Mr. Gong and I are able to pick up the education of minds tomorrow! 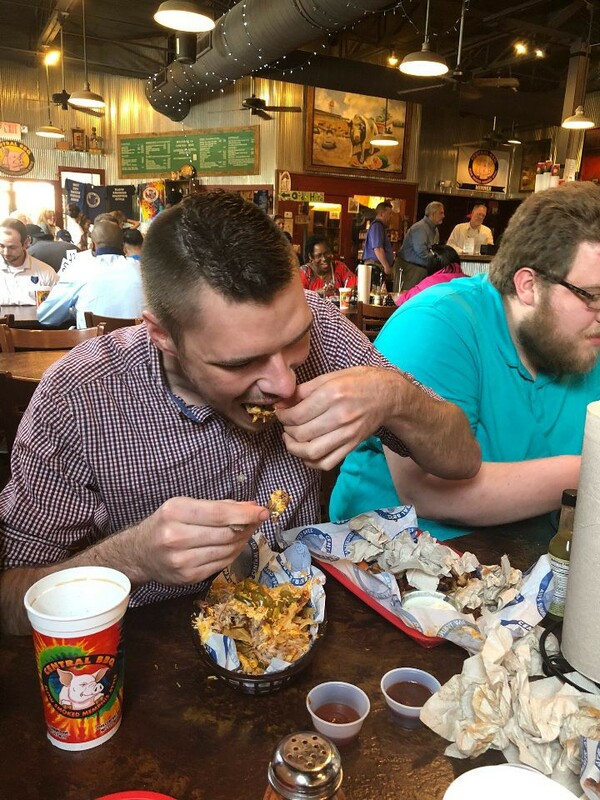 After the morning at school I joined the group at Central BBQ, a place known for their hot wings and nachos, so like a true Wabash Gentleman…I ordered both. The food was amazing and a great energy boost for the Civil Rights Museum and local tour with Memphian and Historian Jimmy Ogle. At the Civil Rights Museum, I experienced powerful emotions about the past of the United States. Learning about the Civil Rights Movements in my high school held much of the same information, it didn’t have the emotion that was held in the videos and audio logs. The past we held was dark and occurred not that long ago, and is still happening in parts of the US today. After the Civil Rights Museum self-guided tour, the group met with local Memphian Jimmy Ogle. Mr. Ogle has shown me not only the rich history that has been growing in Memphis, but also how similar Memphis is to the small towns we love in Indiana. As we walked down a street we were stopped several times by locals who knew Mr. Ogle and even were honked at by a FedEx driver who knew Mr. Ogle. 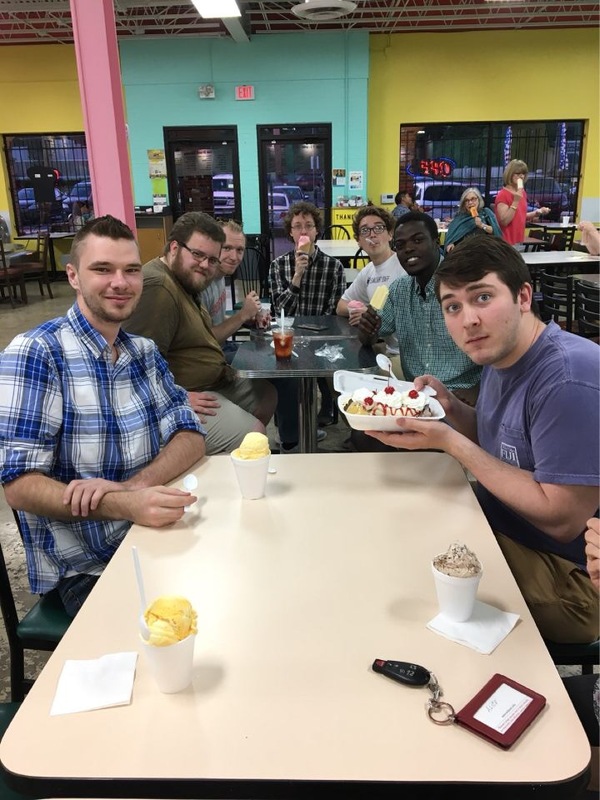 After the tour with Mr. Ogle, the group (along with Mr. Ogle) met several Wabash alumni present in Memphis for dinner at Belly Acres. 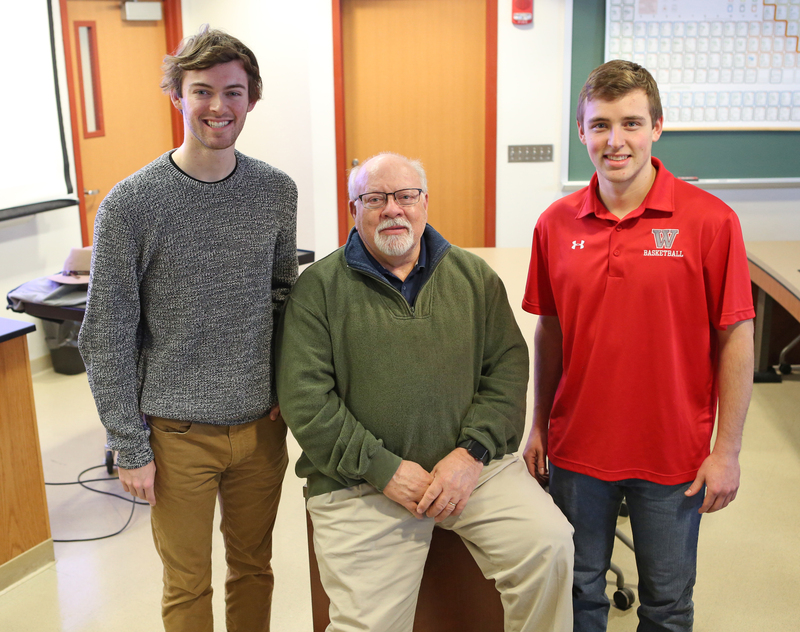 Here we were able to catch up on experiences they remember from their time on Wabash’s campus. Professors they had on comps boards, connections they had with each other, and stories the alumni shared with the professors we students make stories with now. The sharing of experiences and stories between generations of Wabash men is one of the longest traditions still held at Wabash and I am glad to have been a part of that tradition tonight. 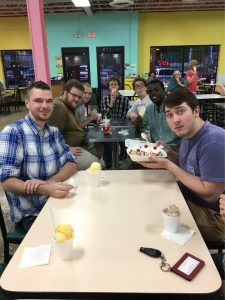 Anthony Eley ’19 — My time so far in Memphis has been a fantastic educational experience. My two and a half days in the school has been enlightening in the sense that I have gained an abundance of knowledge about what it is like to teach within an urban setting and how important the community is to this education. My host teacher, Mr. Searle, has given me great insight on how to approach urban education and interact with students in the schools. One tip that Mr. Searle gave me was that humor can be a valuable tool. Kids enjoy having fun, especially when they go to a school that looks sub-par and is underfunded and understaffed. Using tools such as humor can be a simple tool to distract students from the poorer parts of the school and enjoy their educational experiences. Yet this is not always enough. 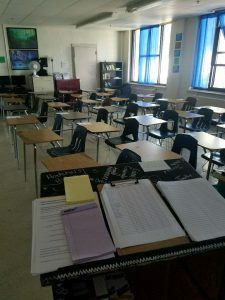 His students are restless, not afraid to talk back, and live in a tough environment that can make the classroom a stressful and challenging place for urban educators. I think that is the concept that has been most reinforced in my time here in Memphis. The lives of these teachers are hard and stressful, and the setting they work in does not make that any better. Yet this does not deter them from their goal of education. They see past all the troubles they have to face, hard as that may be, to try and work with their students to give them a quality education and valuable life skill and experiences. The city itself has been an amazing experience up to this point. 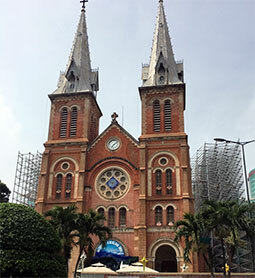 The food has been fantastic, but the places we have visited have been even better. 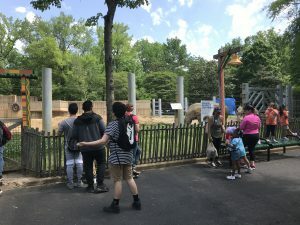 I was able to go on a field trip to the zoo with my class and see this great attraction of the city. This zoo is one of three zoos in the United States that has a panda, and is overall an amazing place. It speaks to the improvements that are being made around the city and the addition and improvement of attractions that will better the lives of those living in the city. With projects such as the building of the Crosstown Commons space, a brand new complex in the city that transformed an abandoned processing center, into an apartment complex/business space which has revitalized that area and brought in new businesses. This trip has allowed me to experience a true southern, suburban setting, unlike anything I have ever gotten to before. It is challenging me to think about the dichotomies that exist in a city like this and how we as individuals and groups try to address this disparity. I think that Memphis is on the right path to address these issues, but more is still needed to solve the problem fully. Devin Atkins ’19 —To show our adherence to the Gentlemen’s rule we attempt to embody our mission statement “Wabash College educates men to think critically, act responsibly, lead effectively, and live humanely.” I bring this up because I was pleasantly shocked as I looked around Ms. Lang’s Kingsbury Middle School class room and saw her pursuit in inspiring those same attributes in her students at. On one of her signs it reads “Thinkers respectfully listen, strategically create, and authentically inspire.” This helps promote thinking critically by asking them to take in as much information into their mind before blurting something out. It asks them to craft an argument rather than say a collection of words. Ms. Lang is holding all of her students to a high expectation and trying to foster growth in all of her students by not just wanting an answer but asking them to actually think through the questions posed to them. This sheet lists to all of her students the ways to craft meaningful conversations giving them a constant reminder that even their words have consequences. During their group work they are asked to determine who gets supplies, their current completed work, and what they will work on next amongst themselves. To help promote better teammates she has signs “Be a team player!” and “Be you, Not them” telling them regardless of the behaviors of others they should be better. To further develop leadership and teamwork whenever there is a class decision she allows for the class to deliberate and give their final answers. If it wasn’t hard enough already to forge bonds between students with different personalities, compound that with the fact they are coming from completely different cultural values and expectations. This is one of the reasons why it is especially hard to promote living humanely in an urban environment. The plethora of contrasting cultures feeding into the school easily leads to disagreements among the students. To help combat these negative actions caused by their differences, Ms. Lang introduced “The Bully Free Zone!” This sign is one of the main demonstrations of living humanely. It not only discourages students from being disrespectful to their peers but promotes the positive differences between the students. What really brought all of this home to me was a program called Teaching Dojo where in Ms. Lang could make her students aware in real time of their positive/negative behaviors that she saw in class through a visual message on the screen or an auditory noise over the speakers. Then she awards the class with different incentives such as a bag of chips or a pizza if they managed to have a certain percentage of positive to negative behaviors. My first impressions of Memphis and my classroom experience were positive. I felt slightly at home because of all the connections I saw to Wabash. Although, I was really thrown a back by the amount of other languages that the students could speak and communicate in. This had been a bit worrisome at first because I thought that it might be harder to connect to the students that came from such a different background. Sure enough that was quickly overshadowed by the eagerness of the students to share their culture with me. After lunch it was also very clear that they had no problems getting to know each other either. They ended up having a Student versus Teacher basketball game. During which I saw the same enthusiasm as a Wabash sports game with students cheering on both sides. 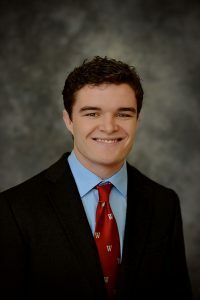 Overall, I’m excited to see the students in Ms. Lang’s class again, learn more about them, and see if I can find even more connections to Wabash. Charles Frey ’19 — It is 7:25 on Monday and the morning announcements have been buzzing through the speakers for ten minutes. Students are still trickling into homeroom and pods of friends are chatting in the hallway. Although school starts at 7:15 officially, the students and teachers know school truly begins when the announcements end – around 7:30 daily. Once the voice on the other end stops, it is time to get to class. True to time, 7:30 rolls around, the announcements come to an end, and the stragglers enter Mr. H’s homeroom class. At this point in the day, because this week is a “B” week, Mr. H would normally be teaching his “B Schedule” classes (Kingsbury is on a block schedule – 4 class periods a day, alternating “A” and “B” schedules by week), but this is the third week of standardized testing. Mr. H’s students head to their assigned locations for a standardized Biology test. In the afternoon, another test, this time in Chemistry. Mr. H, despite his title of “teacher,” is not teaching today. In fact, due to the testing schedule and mishaps of the TNReady exams, Mr. H hasn’t taught a full lesson for three weeks, with the last time he saw his A Schedule classes being about April 26 (he thinks it has been about eight days since he last saw them). Luckily on Tuesday he’ll be able to teach one of those classes after a morning test. So, to compare my Wabash classroom experience to my Memphis classroom experience, it was exactly what I’ve read and nothing like I expected. In the news articles we’ve dissected (chalkbeat.org is a great resource for education news), I knew that our class would be observing urban education through the lens of testing. Not only are we visiting in the middle of testing, but we are in the middle of testing that should have been completed about a week and a half ago (April 27 was the originally planned last day of testing). Instead of observing urban education in action, I experienced the systemic issues that plague the national obsession with standardized tests. All that being said, I did learn a lot from Mr. H. We talked about the importance of principals (the argument of “discipline distributor vs. morale manager”), the pedagogy of teaching any subject (every teacher is an English teacher, when you think about it), and the specific strategy he uses when he develops lessons for his English classes (Read. Think. Write). We also discussed how building a community is one crucial aspect of education that is often overlooked, and one that is brushed aside during testing time. At the end of the day, I remember that Mr. H had more “Good mornings” and “Good afternoons” from students than other teachers in the hall, and for me that is more important than any test score. Joey Ballard ’20 spent his Spring Break in Ecuador for a Global Health Immersion trip with fellow student Joey Lenkey ’19. The two students shadowed Dr. John Myers ’74, who established an award-winning congenital heart surgery program in Guayaquil, Ecuador and leads a team of healthcare professionals on two-week missions to train Ecuadorian surgeons and perform life-saving procedures on sick children. What was your favorite part of your immersion experience? My favorite part of the trip was being able to openly and honestly discuss difficult aspects of medicine with Dr. Myers. Inevitably, things will go wrong in medicine, yet we rarely take the time to explore these scenarios and how to deal with them. Spending extended time with Dr. Myers allowed us to delve into these issues and spurred significant internal reflection on my part. The hospital we stayed at was a state-of-the-art facility, comparable to any new hospital I’ve seen in the United States. The equipment, technology, and quality of care were impressive. However, I found it difficult to reconcile this advancement with the water quality crisis in Ecuador. Even at the hospital, we were instructed to avoid drinking the tap water. This points to governmental shortcomings, but it was surprising to see such an advanced facility still lack the access to clean water. I learned that the language of medicine is universal. During the trip, there was a language barrier between Dr. Myers and the fellow surgeons he worked with in Ecuador. Despite this seemingly impassable barrier, they were all united by their passion for medicine and their love for patient care. It was heartwarming to see their professional mission overcome communication challenges. What has been your biggest takeaway? That other cultures are beautifully complex. I immensely enjoyed feeling the immersion component of this trip – I had to speak in Spanish most times, leading to authentic and meaningful interaction with locals. 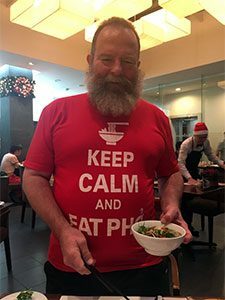 While I certainly learned so much about Ecuador and its culture, I recognize that I do not and perhaps cannot fully understand it. 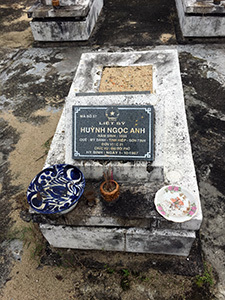 This experience provided a glimpse into another way a life. I lack much of the context that contributes to it, which cannot be obtained in one week. Why are immersion learning experiences important? While Wabash is a wonderful place, our time here is limited. 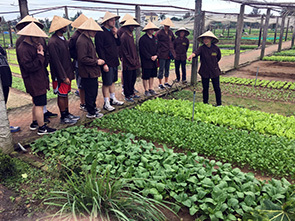 Immersion trips provide firsthand experiences that cannot be replicated in the classroom and serve to influence our perspectives and inform our career paths. 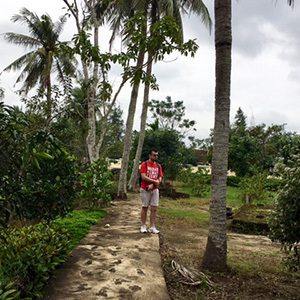 Immersion experiences help Wabash men become better through their ability to influence our worldview and challenge us to consider what we see on these trips. Will Amberger ’19 traveled to London over Spring Break as part of the Common Law Immersion Experience. 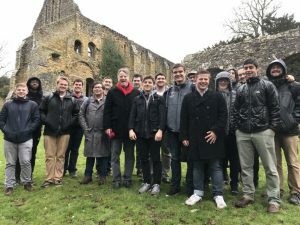 Lead by Professors Scott Himsel and Stephen Morillo, the group’s experiences ranged from visiting historic battle sites to sitting in on a real terrorism travel in the United Kingdom Supreme Court. My favorite part was touring the Battle of Hastings, one of the most significant battles in human history. The Battle of Hastings in 1066 set the foundation for our course and really that of modern England. It was an incredible experience to learn about the origins of Common Law and English society as we understand it today. It was also really valuable to have time to ourselves to explore and experience London as a city and culture. The accessibility of the English Court system – we were able to explore so many different courts and observe a lot of different trials. We even had the opportunity to sit in on a hearing in the UK Supreme Court! The freedom we had to study the different courts made this a really exciting trip. The importance of embracing the subject matter directly. We read a ton of different materials leading up to our trip, but actually being in London and interacting with the history cemented my knowledge and appreciation for the course material. What has been your biggest takeaway from the experience? I now have a deeper understanding and appreciation of English history and its influence on the United States throughout history. We were able to relate things we saw in London to our course material, and it helped me understand exactly how the United States, especially its legal system, has been influenced by England. 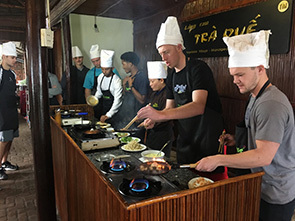 Why are immersion learning trips important? 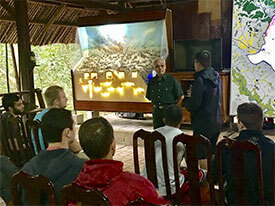 Immersion trips are extremely important because they allow you to engage the class at another level. You just can’t learn or appreciate the subject in the same way if you stay in the classroom. 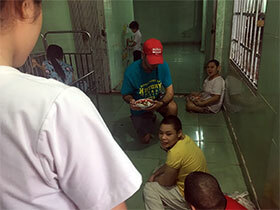 Immersion trips are great because you can get your hands dirty and directly apply what you learn in class to real life. It’s a kind of “learning by doing” that is extraordinarily valuable. 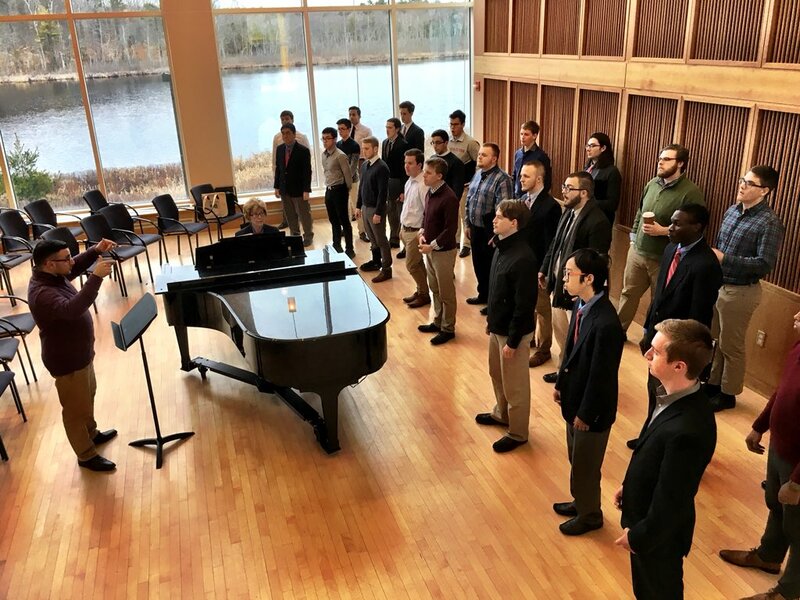 Daniel Azar ’18 spent Spring Break 2018 with the Wabash College Glee Club in Boston. 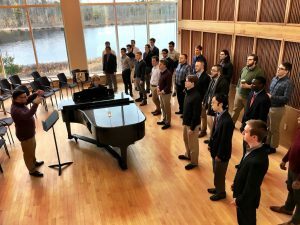 The group had sang at several large performing arts venues around the area while also battling the effects of the Nor’easter snow storm, which made for some fun snowball fights with Glee Club Director Reed Spencer. My favorite part of this immersion experience was having the opportunity to get to know my fellow Glee Club brothers. I also enjoyed singing and performing with other schools and learning how to improve our sound as a group through masterclasses. I was surprised by how moved so many people were by our performances and how powerful an impact our music had on others outside of the Wabash community. This tour truly reminded me of why I am so lucky to be a part of the Glee Club and why it is so important to our College. Singing with others provides you with a community you cannot get anywhere else. You are able to connect with your brothers in song in such a profound way and that is something I will really miss when I graduate. Azar conducts the Glee Club in Boston. Immersion learning helps students understand why the classroom isn’t the only place for learning. 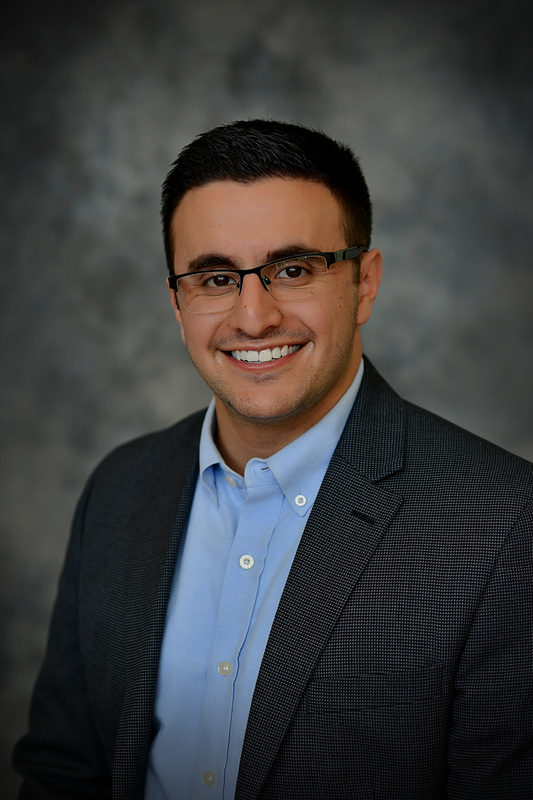 It gives students the opportunity to see the significance of their influence outside of the Wabash community. 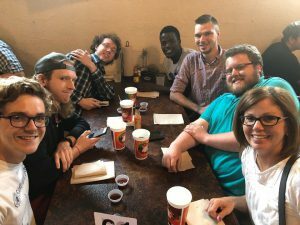 It connects us with people we never thought we’d be connected with and helps us hear their perspective on the enduring questions we seek to answer as Wabash men.